Prime Minister Netanyahu in interviews to major television channels: Iran is making atomic bombs to destroy us. I won't let that happen. 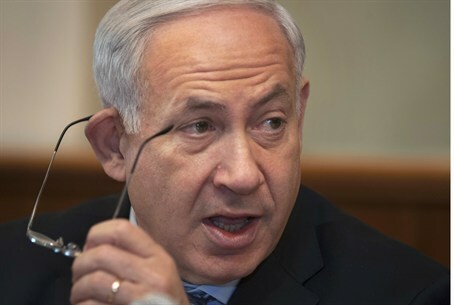 Prime Minister Binyamin Netanyahu used an interview on Tuesday with Israel’s major television channels, Channel 2 and Channel 10, to reiterate that he will not allow Iran to acquire nuclear weapons. In the Channel 2 interview, Netanyahu responded to reports that he has already decided to attack Iran, despite the opposition of senior defense officials. Netanyahu also spoke about the latest economic measures approved by the Cabinet, which include raising the VAT and the income tax. He told Channel 10 that the rise in the taxes is being done sparingly and is not like the tax increases seen in Europe. Netanyahu added that the raise in the taxes is relatively low. “I lowered taxes, now I’m bringing them up slightly to cover the gap,” he explained, noting that the increase in the VAT is a small part of the economic measures and that most of the money will be taken from other sources, such as a surtax on wealthier residents.